I have not had the opportunity to review any chess books in a while simply because I haven't bought any, but recently was intrigued with this book after browsing through it. 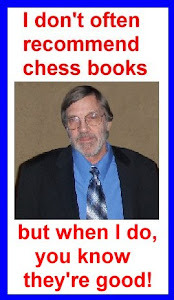 There have been several books that cover P-structures, Pawn Structure Chess by Andy Soltis for example and the monster work on the isolated QP by Alex Baburin, Winning Pawn Structures. That last one turned out to be more work than I cared to put in! Each structure is further sub-divided by theme. Example: the d-Pawn opening chapter covers isolated pawn, hanging pawns, the Carlsbad formation, the Caro-Kann formation, the Slav formation, Stonewall formation, and Gruenfeld. Best...he includes annotated games as examples that illustrate the objectives and then he gives final remarks. As one commentator opined, this book is not a primer of positional play, but rather the author describes the interrelation between P-structure and how you should go about planning. Well written and I am happy to see somebody writing about something other than tactics! Recommended.